MEXICO CITY (Bloomberg) -- BMW AG may invest more than $1 billion in Mexico to prepare local auto-parts companies to boost supplies to its U.S. plant, Mexican Economy Minister Gerardo Ruiz Mateos said. “They want to increase the production of auto parts here in Mexico,” Ruiz Mateos said in an interview in Bloomberg's Mexico City office Wednesday. He said he's going to Germany in the coming weeks to discuss the project with BMW. BMW is purchasing more supplies outside Germany as part of a goal to lower costs by more than 4 billion euros ($4.9 billion) by 2012 and to reduce the impact of foreign currency swings on earnings. 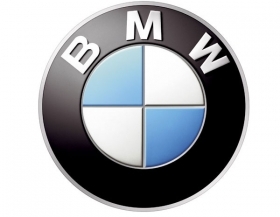 By buying parts in Asia and North America, the company will cut currency risk by 1 billion euros by 2012, Herbert Diess, BMW's purchasing and logistics chief, said in a May 4 interview. For Mexico, the BMW initiative would help President Felipe Calderon's plan to increase foreign investment at a time when the country's share of North American auto production may rise at a quicker pace as U.S. automakers seek lower labor costs. “BMW has the goal of significantly raising its purchasing volumes in the NAFTA region, including Mexico, in the coming years,” said Mathias Schmidt, a spokesman for BMW in Munich. The company currently has more than 60 suppliers in the country, he added. Chrysler Group, the U.S. automaker run by Fiat S.p.A., said in February it would invest $550 million to begin producing the Fiat 500 model at a plant in Toluca, Mexico. Last month, Ford Motor Co. reopened an assembly plant in Cuautitlan to build 2011 Fiesta cars. The factory will generate 2,000 jobs and is part of $3 billion in investments announced since 2008. Mexico's share of North American auto production will rise to 19 percent over the next decade from an average 12 percent in 2000 to 2009, said Dennis DesRosiers, president of DesRosiers Automotive Consulting Inc. in Richmond Hill, Ontario, Canada. The United States is BMW's second-largest market after Germany. In the first five months, almost one in every five BMW vehicles was sold in the United States. BMW is investing $750 million at its plant in Spartanburg, South Carolina, to boost capacity by 50 percent. The factory, which manufactures X3, X5, and X6 crossovers as BMW's sole U.S. assembly plant, will have capacity to produce 240,000 vehicles a year by 2012.